Updates of where things stand. On the campaign trail, Donald Trump had a signature a list of promises that's proved to be a guide for what he's prioritized as president. Now, one year into his administration, some promises have been kept-- while others haven't-- and the results are mixed. (Jose Luis Gonzalez/Reuters) A worker stands next to a newly built section of the U.S.-Mexico border fence at Sunland Park, U.S. opposite the Mexican border city of Ciudad Juarez, Mexico, Jan. 25, 2017. 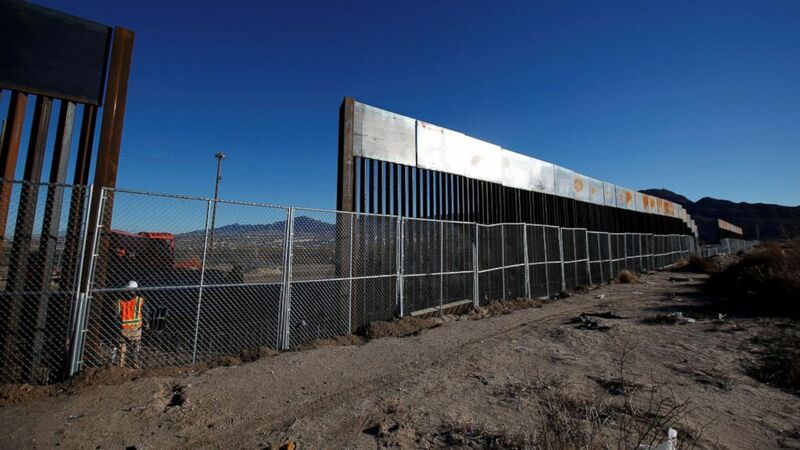 Many details about the proposed wall along the U.S. southern border-- including how it would be paid for and when and where it would be built-- are still unanswered, but the administration has taken steps to fulfill Trump's much-touted campaign promise. In August, U.S. Customs and Border Protection (CBP) announced four vendors had been selected to design and build prototypes made of "reinforced concrete" and four other vendors were selected to build prototypes made of non-concrete materials. All eight prototypes have been built and tested but no decision has been announced. 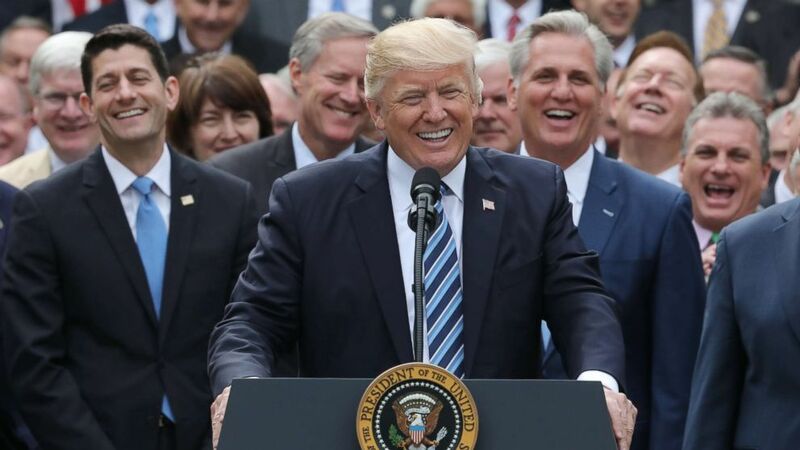 (Carlos Barria/Reuters) President Donald Trump celebrates with Congressional Republicans in the Rose Garden of the White House after the House of Representatives approved the American Healthcare Act, to repeal major parts of Obamacare and replace it with the Republican healthcare plan, May 4, 2017. Efforts by congressional Republicans to help Trump keep his promise to repeal Obamacare ended-- at least for now-- in July, when a GOP-controlled Senate failed to pass a so-called "skinny repeal" of the Affordable Care Act. In December, Republicans were able to repeal a key provision of Obamacare when the president signed the GOP tax reform plan, which eliminates the individual mandate that required people to buy health insurance or pay a penalty. 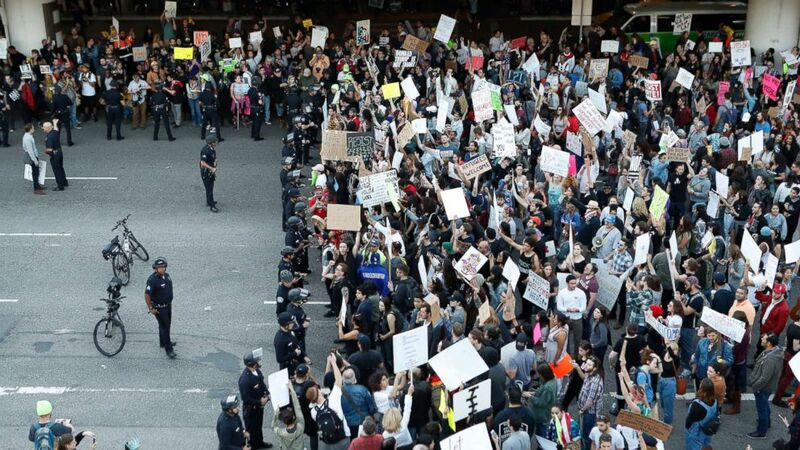 (Ryan Kang/AP) Police officers block demonstrators from marching on the lower roadway during a protest against President Donald Trump's executive order banning travel from seven Muslim-majority countries, at Los Angeles International Airport on Jan. 29, 2017. One of Trump's most controversial campaign promises was to ban Muslims from entering the United States in what he claimed was an effort to combat radical Islamic terrorism. His position has changed repeatedly since taking office as he issued multiple modified executive orders trying to get past legal hurdles. The original order, named "Protecting the Nation from Foreign Terrorist Entry into the United States," took immediate effect to bar admission to the United States of all people with non-immigrant or immigrant visas from seven countries — Iraq, Iran, Libya, Somalia, Sudan, Syria and Yemen — for 90 days. It also barred entry to all refugees from anywhere in the world for 120 days and placed an indefinite ban on refugees from war-torn Syria. But federal judges blocked that travel ban and appeals court judges agreed. The president issued two more more executive orders but they, too, were challenged in court. The Supreme Court eventually said that it would allow parts of the second executive order to go into effect, including the 120-day ban on refugees from entering the country, while legal challenges played out. (Charles Reed/AFP/Getty Images) This image obtained Feb. 11, 2017 courtesy of the Immigration and Customs Enforcement (ICE) shows US Immigration and Customs Enforcement officers detaining a suspect during an enforcement operation on Feb. 7, 2017 in Los Angeles, California. Trump painted himself as a hardliner on immigration during the campaign, with his promise to “build the wall” and deport undocumented immigrants becoming some of his best-known campaign lines. During his first week as president, to keep his promise, the president signed an executive order making all undocumented immigrants subject to possible deportation, and went on to order an end to the Obama-era Deferred Action for Childhood Arrivals (DACA) program, but a judge has ordered that the program continue. Its ultimate fate will be decided by Congress. 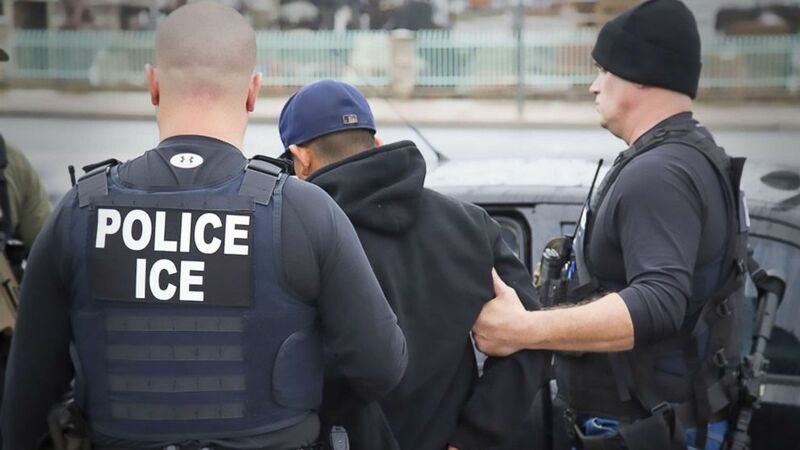 At the end of December 2017, the Department of Homeland Security reported that arrests of undocumented immigrants rose and apprehensions along the Southwest border were down significantly last year. (Chris McGrath/Getty Images) Destroyed buildings are seen in West Mosul on Nov. 6, 2017, in Mosul, Iraq. The U.S.-led coalition dealt a significant blow to ISIS in 2017, liberating 60,000 square kilometers of land once claimed by the terrorist group, which had ruled large swaths of Iraq and Syria since 2014. 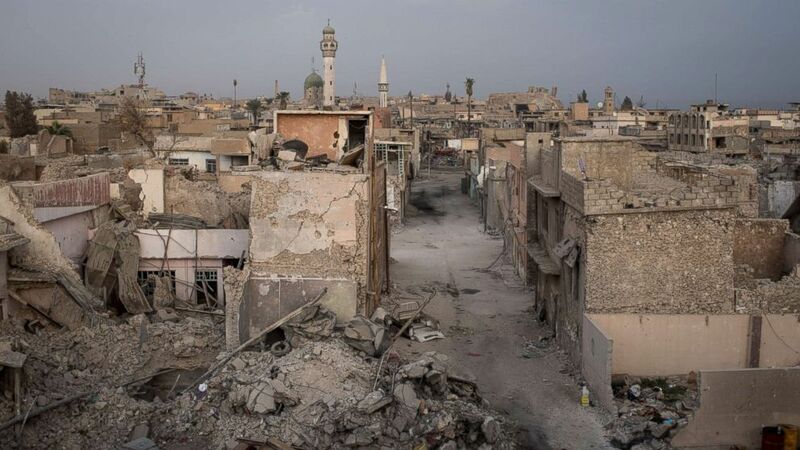 The coalition estimates only about 1,000 ISIS fighters remain in that area. In December, British Prime Minister Theresa May declared ISIS had been "crushed." President Trump went even further, saying "we've won" in Syria and Iraq. ISIS continues to have influence in other parts of the region, specifically further west than the coalition forces had been targeting. (Jim Lo Scalzo/EPA) Justice Anthony M. Kennedy, right, administers the judicial oath to the US Supreme Court's newest member, Neil M. Gorsuch. 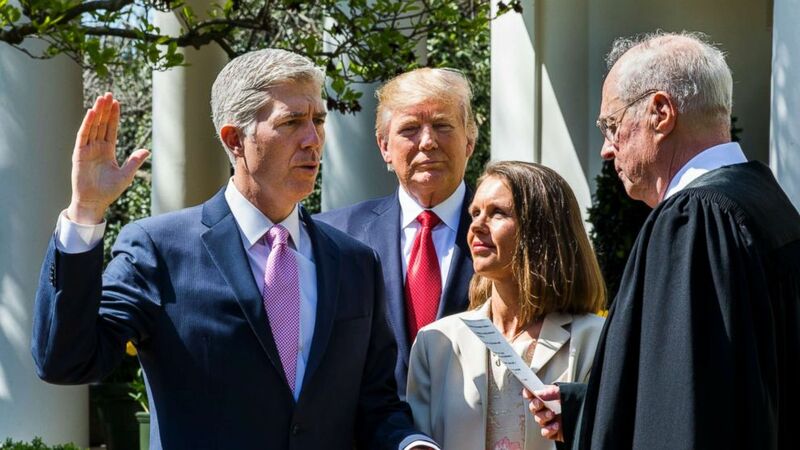 One of the president's most significant first-year accomplishments was adding a conservative justice to the Supreme Court-- to replace Justice Antonin Scalia. Trump nominated Neil Gorsuch, an appeals court judge with strong pro-Second Amendment views, in January, but in April Senate Republicans, faced with a Democratic filibuster, had to resort to the so-called "nuclear option" to get past the traditional 60-vote requirement to confirm him. (Jonathan Ernst/Reuters) President Donald Trump signs the $1.5 trillion tax overhaul plan in the Oval Office of the White House in Washington, Dec. 22, 2017. The president's biggest--and some would say only--legislative victory so far is the $1.5 trillion rewrite of the tax code he signed into law just before Christmas. After the GOP-led House and Senate passed the measure, known as the Tax Cuts and Jobs Act, Trump celebrated with Republican lawmakers on the White House South Lawn. (Daniel Acker/Bloomberg via Getty Images) Then President-elect Donald Trump speaks during an event at Carrier Corp. in Indianapolis, Indiana, Dec. 1, 2016. 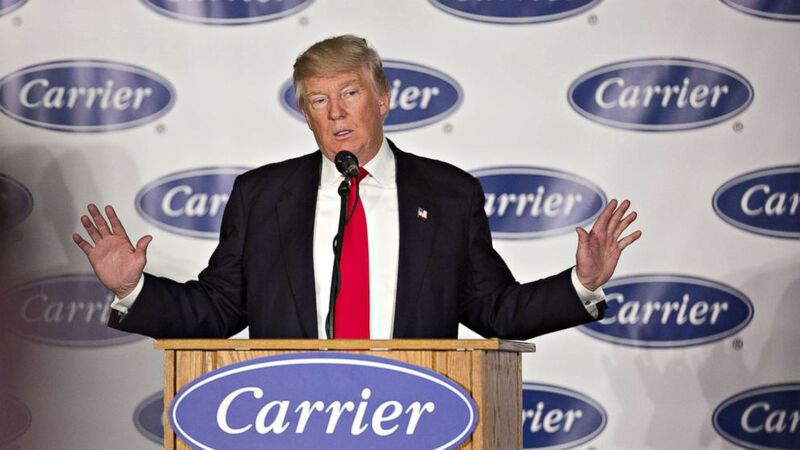 Trump said he called the top executive of United Technologies Corp. shortly after his election and told him not to close a Carrier factory in Indianapolis. During the campaign, Trump said he would both bring back blue-collar jobs and create 25 million new jobs while in office. He's taken credit for decisions some companies have made since the election to create new jobs in the U.S., but it's not clear whether those corporate decisions can be attributed to the president's policies. What can be confirmed is that the Bureau of Labor Statistics reports that between February 2017 and December 2017--the only full months of data available--more than 1.6 million payroll jobs were created. The number of jobs created grew each month during his administration, but they followed more than six years of consecutive job growth under President Obama. (Kevin Lamarque/Reuters, FILE) President Donald Trump speaks about the Iran nuclear deal in the Diplomatic Room of the White House in Washington, D.C., Oct. 13, 2017. 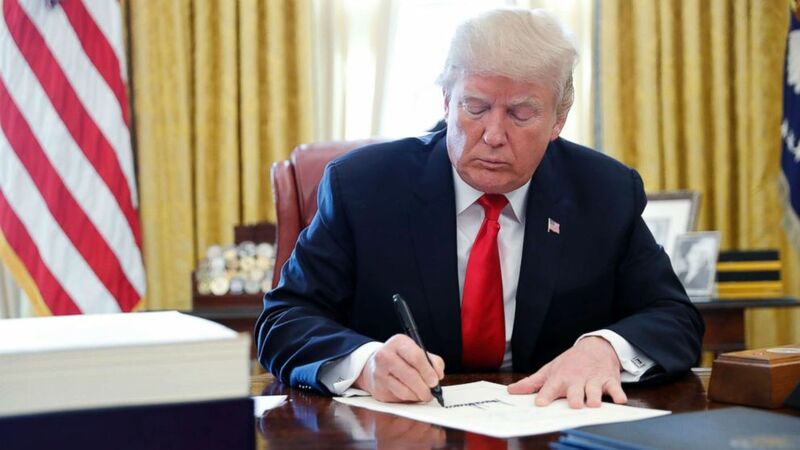 Despite his open disdain for the deal and stated intention to tear it up, the president has repeatedly signed waivers allowing it to continue-- most recently this month. 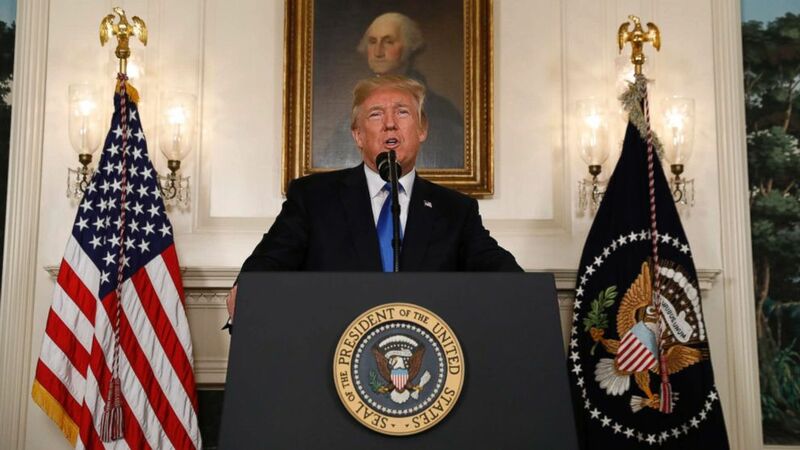 A senior administration official told ABC News that "this is the last such waiver he will issue," adding that the White House will be working with its European allies on updating the other conditions of the nuclear agreement including when certain clauses of the deal will end. The waivers involved sanctions the U.S. agreed to lift as part of the 2015 agreement between the U.S., Iran, the European Union, China, Russia, Germany, the U.K., and France. 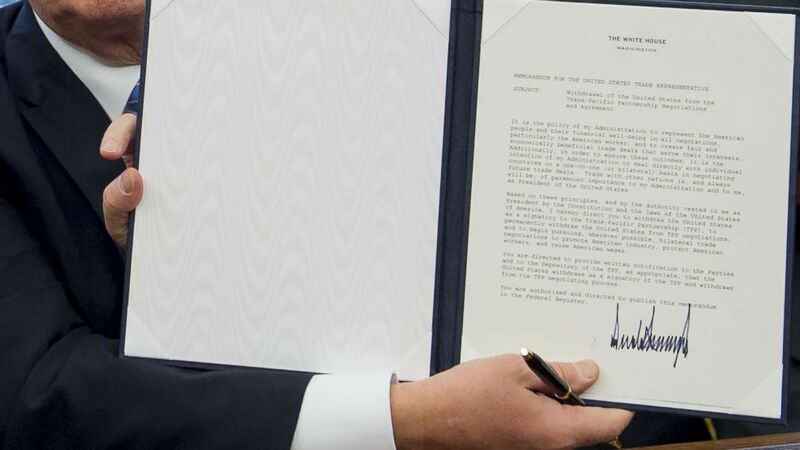 As part of the U.S. commitment under the Joint Comprehensive Plan of Action, or JCPOA, the waivers must be re-signed periodically for varying lengths of time; some come up every 90 days, others every 120 or 180 days. 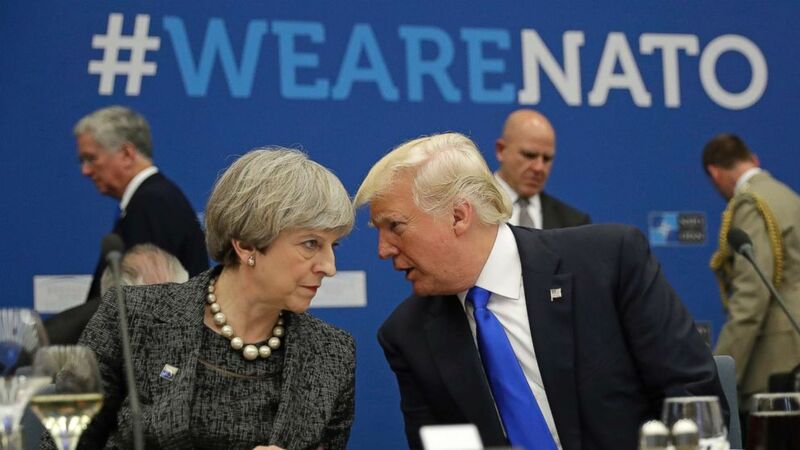 (Matt Dunham/AP) British Prime Minister Theresa May, left, speaks to U.S. President Donald Trump during a working dinner meeting at the NATO headquarters during a NATO summit of heads of state and government in Brussels, May 25, 2017. In May, Trump used a speech at a NATO summit in Brussels to scold other member countries, claiming many were not paying their fair share, but to date he hasn't ordered any changes to how much the U.S. pays to NATO. He did change his campaign opinion of NATO, calling it "no longer obsolete." In an April press conference at the White House, standing alongside NATO's secretary general, Trump said they had "made a change" and discussed "what more NATO can do in the fight against terrorism." During that speech, Trump said that "23 of the 28 member nations are still not paying what they should be paying and what they're supposed to be paying for their defense" and he said "this is not fair to the people and taxpayers of the United States." 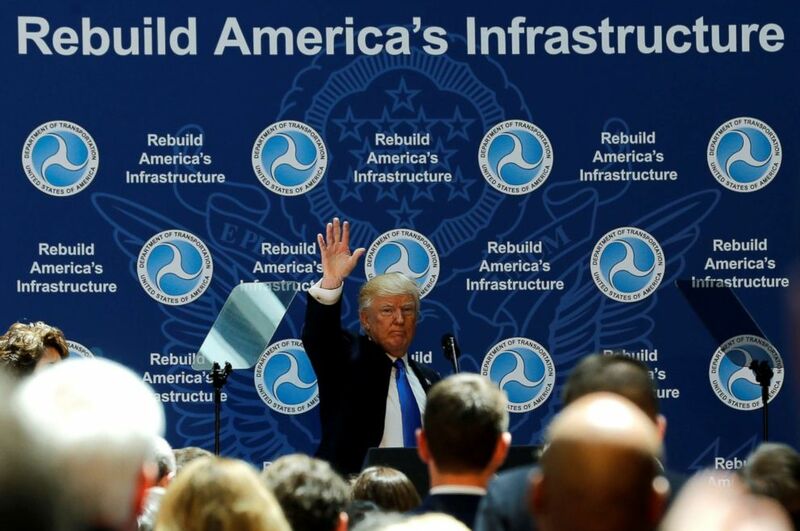 (Jonathan Ernst/Reuters, FILE) President Donald Trump concludes his remarks on infrastructure improvements, at the Department of Transportation in Washington, D.C. June 9, 2017. The White House says it is planning a mid-to-late January rollout of the president's infrastructure plan leading up to his first State of the Union address on Jan. 30, in which rebuilding the nation's roads, bridges, airports and railways is expected to be a major theme, an administration official told ABC News on Dec. 29. (Saul Loeb/AFP/Getty Images) President Donald Trump holds up an executive order withdrawing the US from the Trans-Pacific Partnership after signing it in the Oval Office of the White House in Washington, DC, Jan. 23, 2017. Trump promised to withdraw from the Trans-Pacific Partnership and renegotiate the North American Free Trade Agreement, and so far has accomplished one of those goals. On what he called his first full day of work as president, Trump signed a presidential memorandum calling for U.S. withdrawal from the TPP. In April, Trump tweeted he now may be more open to renegotiating NAFTA as opposed to scrapping it. "I received calls from the President of Mexico and the Prime Minister of Canada asking to renegotiate NAFTA rather than terminate. I agreed... subject to the fact that if we do not reach a fair deal for all, we will then terminate NAFTA. "Relationships are good-deal very possible!" he tweeted. (Chip Somodevilla/Getty Images) Betsy DeVos, during her confirmation hearing before the Senate Health, Education, Labor and Pensions Committee in the Dirksen Senate Office Building on Capitol Hill, Jan. 17, 2017, in Washington. In October, Trump's Education secretary, Betsy DeVos, set federal grant priorities for national schools and universities. 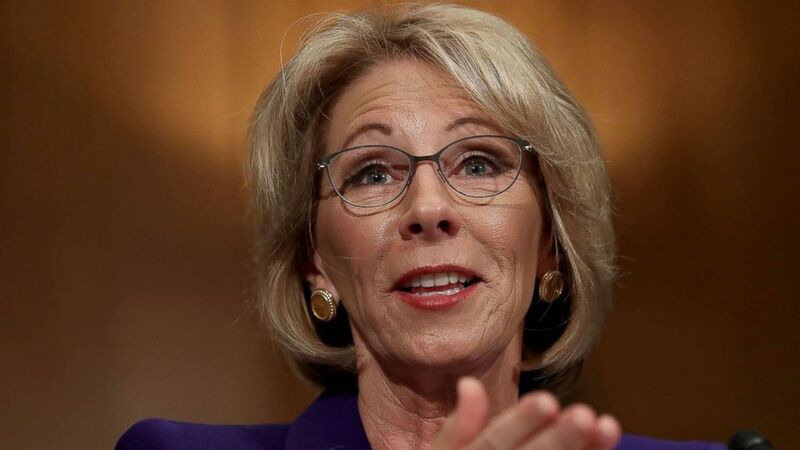 School choice is on a list of 11 priorities that will be finalized by the end of February or beginning of March, an Education Department official told ABC News. "The Department is working closely with Congress on the best path forward for expanding education opportunities for all students," the official added. Federal involvement in the Common Core program ended under the Obama administration, and Trump promised conservatives during the campaign since becoming president that he would not allow Common Core to return. This story is part of a week-long series examining the first year of the Trump administration.